Hollywood, CA. 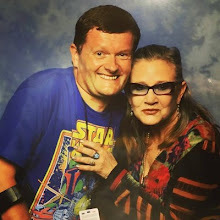 - May 4, 2011 -- In conjunction with the celebration surrounding, “May the 4th Be With You”, ClamCase® - The All-In-One Keyboard Case and Stand for iPad announces the upcoming launch of its first release from the Limited Edition ClamCase® Inspired Series. ClamCase® products are in high demand worldwide for their desirable features and ability to enhance FaceTime®, Facebook®, YouTube®, Netflix®, online gaming, endless apps, and web surfing. In addition to the growing popularity with professionals, educational institutes, and other organizations, ClamCase® products are used to protect the iPad investment, while greatly increasing mobility and productivity. ClamCase for iPad is currently available for purchase, with a retail price of $149 and a special clamcase.com online price of $119. For a limited time purchase a ClamCase® Gift Card for $99 and receive $119 store value. This discounted gift card can be used for any product(s) from within the ClamCase online store. 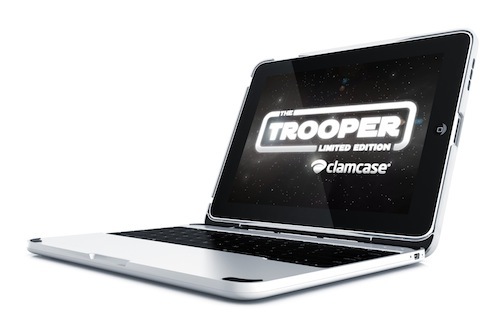 The Limited Edition ClamCase® Trooper and ClamCase® for iPad 2 will ship this summer.